Good Morning – It is June 19, 2013 — And today I want to hear from you today — Click on comment bubble to the right to send me your thoughts! Yesterday was a sad day. Perla lost her toy — Remember when you got a toy – as a child or maybe as an adult, you know what I mean, when you got that new fancy vehicle like a convertible, a jeep, a pickup — and all of a sudden the spouse is driving it — u end up driving that old clunker with no air conditioning and springs sticking through the seats!!! That is what I call a sad day! 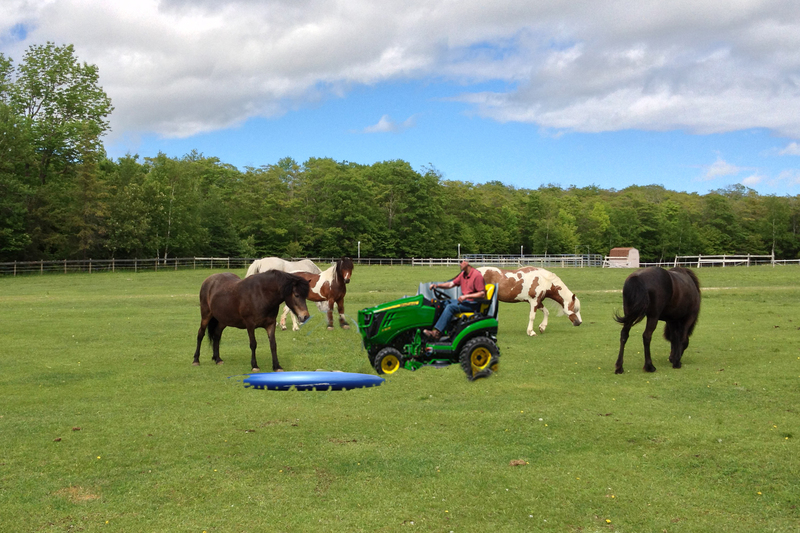 First I want to tell you that John Deere lawn tractors have the HOT MUFFLER in the front of the tractor. What do you think happened — I did not have camera in hand so I had to recreate the crime scene in Photo shop — Digital journalism I call it — hope you can figure out what happened. Look at the heading picture. 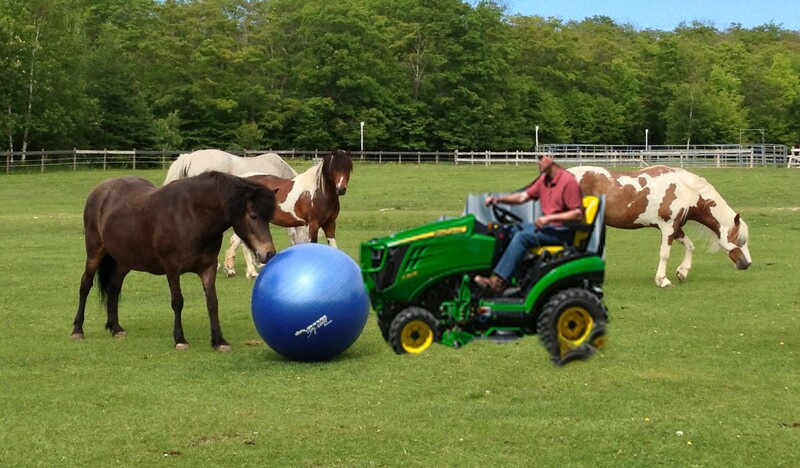 Then look at the following two story photos and for each of them, tell me what you think the tractor driver/ball owner is saying (remember, he owned the ball for only 24 hours) –Then tell me what you think Perla is saying, then how about the pony in the back ground. The Looser or the Crime Scene, or I did not mean to do that. No wonder Perla is “sour”. You burst her bubble. Shame on you.